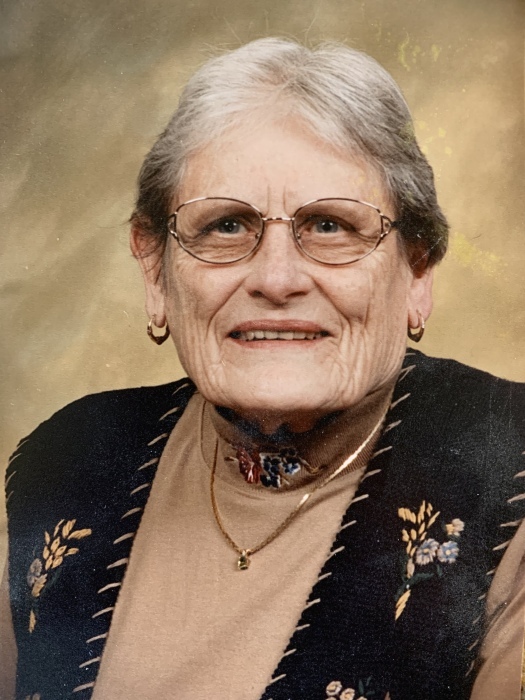 Aleene C. Johnson, age 90, of Temple, TX, formerly of Holstein, passed away on Tuesday, March 26, 2019 at the Cornerstone Gardens Healthcare & Rehabilitation of Temple. A funeral service will be held on Monday, April 15, 2019 at 1:00 PM at the Nicklas D. Jensen Funeral Home of Holstein with the Pastor Jay Wallace officiating. Burial will be at the Holstein Cemetery of Holstein. A visitation will be held one hour prior to the service starting at 12:00 PM at the Nicklas D. Jensen Funeral Home of Holstein. Aleene Johnson was born December 4, 1928 in Holstein, IA to William and Lena Meyer. Aleene was united in marriage to Arnold Johnson. She enjoyed working outside on the lawn, gardening and taking care of her pets. Aleene is survived by her children, Linda Hayes of Temple, TX, Doug (Tammy) Johnson of Dallas, TX and Mike Johnson of Holstein, IA; grandchildren, Carley Hayes of Houston, TX, Kelsey Hayes of Salt Lake City, UT, Adara Johnson Dallas, TX, Lexi Johnson (fiancée Nick Greteman) of Carroll, IA and step-grandchildren, Nathan (Lindsay) Nees of Des Moines and Taylor Nees of Holstein, IA. She is preceded in death by her parents and five sisters, Alice, Alvina, Alda, Anna, Annette; and four brothers, Edward, Erwin, Elmer and Elvie.